Steve Irwin did not have a typical childhood. Born in Melbourne, Australia, on February 22, 1962, he was raised on the wildlife park his parents owned. He cared for the animals and especially loved reptiles—he got a python for his sixth birthday! At nine years old, Steve was already helping his father wrestle small crocodiles. He became a crocodile trapper after graduating high school, catching the creatures before dangerous poachers could. 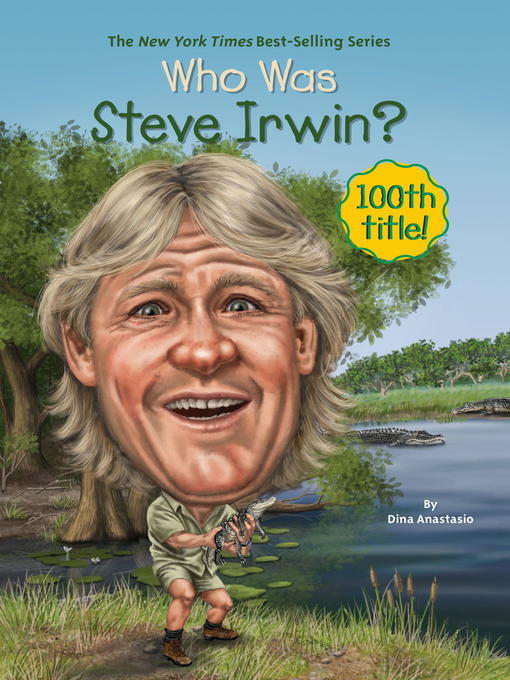 Steve met his wife, Terri, at his family's park, and instead of a honeymoon, the pair filmed a wildlife documentary that led to the creation of the well-known series The Crocodile Hunter. Tragically, Steve was killed on September 4, 2006 while filming a documentary when a stingray attacked, piercing his heart. He was forty-four years old. However, his life's work obviously still strikes a chord with kids who voted him the winner of the 100th Who Was...? title.